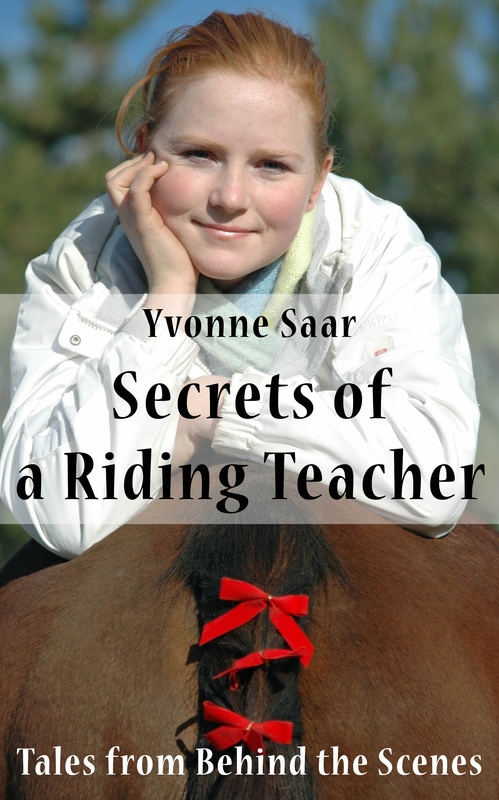 Written by ex-riding teacher turned equestrian journalist, Yvonne Saar, this book offers a fun ride with a difference. It invites us to look a little deeper into our relationship with horses and perhaps even discover our own horsey secrets. "This book is at times both laugh-out-loud funny and intriguingly enlightening." "This is a book which teaches you without you even realising. I found myself smiling and thinking 'ah of course' so many times. I would highly recommend this book to others." "This collection of short-stories will bring a smile to your face as you recognise, and even empathise with, many of the characters." "This fun collection of short stories from a compassionate, practical and eminently sensible riding instructor was an absolute delight to read. Yvonne tells it like it is - and I guarantee every rider will relate to the stories she has to tell." The short answer is: a romp. A romp around the craziest experiences that life throws at a person who decides to teach horse riding. Being a teacher is primarily a career, a line of work. Add a horse or pony and it becomes a triangle, with the equine a main contributor. Triangular relationships, as we know, tend to be complicated. But until you know the agendas and expectations of people connected with horses you are absolutely in the dark. So this book is composed of many stories tracing the journey from darkness to light, and enlightenment, with a light touch. The short answer is: real life. The spark for it was correspondence with my publisher who is learning to ride horses herself. And finding there are more unexpected ups and downs to horse riding than ever encountered in doing the rising trot! Someone else’s experience, especially primal hands-on experience, re-ignites your own! Which story in this book did you enjoy writing the most and why? That's a hard one because in different moods, my mind goes to each one in turn. And I’m not into favouritism as an organising principle. ‘Climbing the Ladder of Success’ was the greatest fun but ‘The Royal Connection’ gave me the opportunity to get good depth, another level on teaching riding to youngsters. You can't fool kids, not for long. ‘The Royal Connection’ rather proves children are willing to engage at a level than some adults might shy away from. I like that because I go with Kahlil Gibran’s idea that children can teach you a lot.